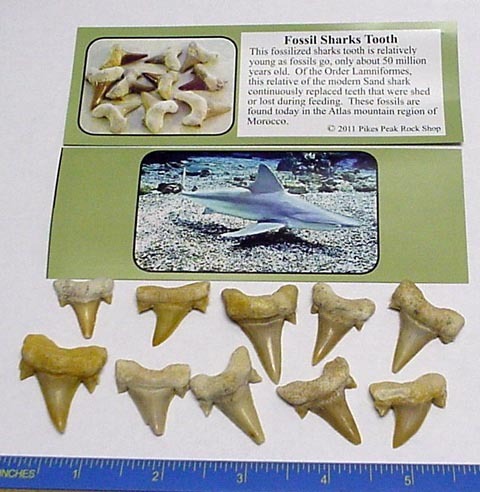 These 50 million year old sharks teeth available in one size. The medium measures approx. 1" to 1 and 1/2".